During the year we have a variety of special services. The Church Year begins with the season of Advent in December and ends with Christ the King Sunday, the last Sunday of the following November. During the season of Advent we offer a Hanging of the Greens Service in which we explore the meaning and richness of the symbols of Advent and Christmas in our worship space. We also offer a Blue Christmas Service for those who find the Christmas season difficult. This service includes the healing rite. It is for those among us who find this season difficult. 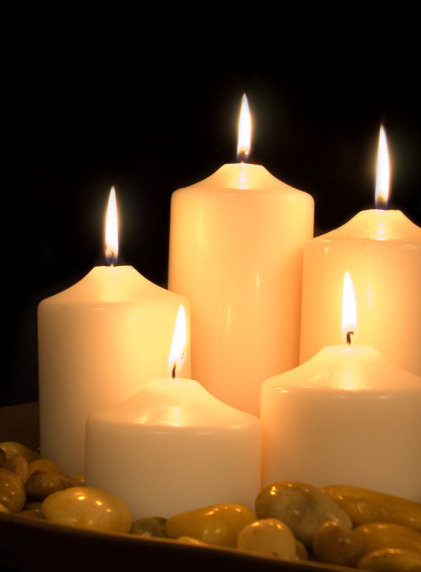 We invite you to our Christmas Eve Candlelight service on December 24 at 7 PM. On Christmas Day, December 25, we gather for worship at 10AM. The liturgy is sung to familiar Christmas carols, and we share in the Lord's Supper. Beginning with an Ash Wednesday service we offer Midweek Lenten services at 7PM in the weeks prior to Holy Week. During Holy Week, the days before Easter, we hold a special evening service on Maundy Thursday at 7PM, a Good Friday Service at 10AM, as well as an Easter Vigil at 7:30PM. We also observe and celebrate festival days such as the Transfiguration of our Lord, Palm Sunday, Pentcost, Reformation Day, All Saints Sunday, etc. All these days include Holy Communion. Please come and journey with us through the seasons!